5 or more $2.25 ea. 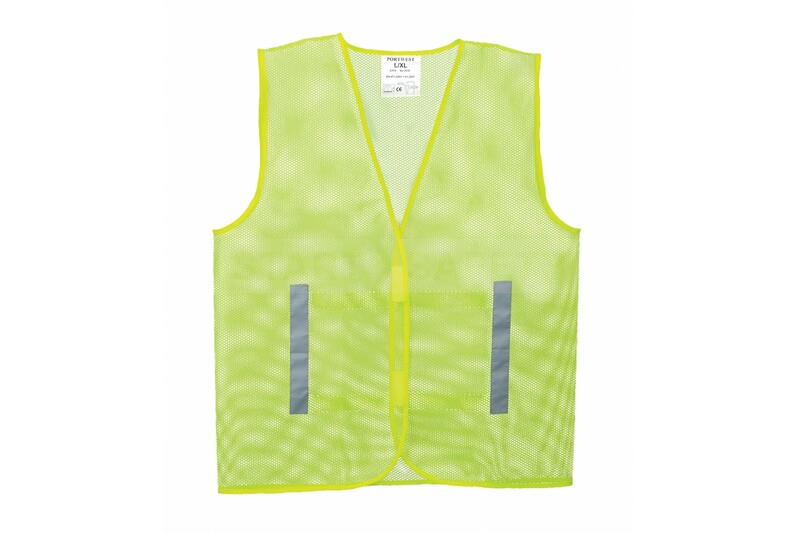 Our budget value high-vis mesh vest with two vertical reflective tape strips on front and back, velcro fastening closure. Available in 3 Sizes, Small to Medium, Large to XL and XXL to XXXL. Yellow Only.